As Battledrums releases its debut album, The War Is Over, we take a look at these songs and how they apply to our life as we live in victory over sin. 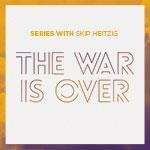 Join Skip Heitzig in celebrating these songs and what they symbolize for our Christian walk. The war is over—Christ has won!